Keen to try out skiing for the first time but put off by high prices and anxious about tackling the slopes? There’s no need to fear! There are plenty of cheap ski resorts for beginners in the Alps with gentler slopes, great ski schools and calm ski areas. It’s even possible to go on a beginners ski holiday without breaking the bank! 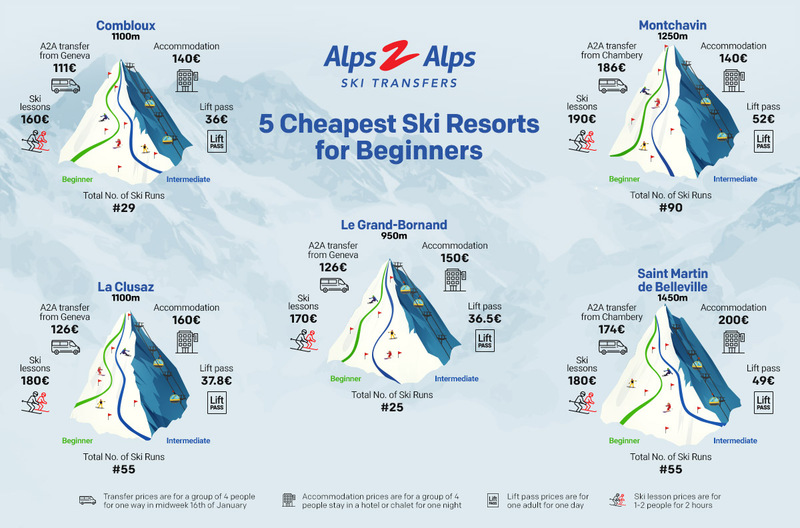 We’ve put a list together of the five best cheap ski resorts for beginners on a budget. Now all you’ve got to do is pick one. So, what makes Clusaz in France so perfect for beginners you ask? The Beauregard ski area is an ideal spot to test out your skis for the first time. The serene plateau has a nursery slope as well as several blue and green runs, the easiest of the slopes to conquer. Once you’re happy with the basics, a long blue run stretches all the way back to the village. A lift pass for a day skiing will cost 37.80 € per adult. A bargain for a fun-filled day out on the snow. Taking a few lessons when you first arrive is highly recommended to make the most out of your ski trip. Learn to ski with a professional, English speaking instructor for 180 € for two hours. La Clusaz is also famous for its winter sports, being home to many a champion skier during the World Cup and Olympic Games. Who knows, maybe on your next visit you’ll be joining them! The resort of La Clusaz has been awarded ‘famille plus’ status, meaning it’s part of a network of family friendly resorts in France. This positions Clusaz as a great starter ski destination for you and your family. Another benefit to choosing Clusaz, is staying in its charming village, a short distance away from the stunning Lake Annécy. Despite the popularity of the ski resort, the village has managed to retain much of its traditional character. Take a break from skiing with a spot of shopping in the quaint market square or have a laid-back meal and drink in the view of the impressive Aravis peaks. Clusaz is not only easy on the eye, it’s pretty easy on the wallet too. Accommodation will set you back as little as 160 € a night for a group of four in a hotel or chalet. Clusaz is a stone’s throw from Geneva airport, making it super convenient to get to for a weekend getaway. Book a transfer from Geneva airport and you could arrive at the resort within an hour! Transfers to Clusaz start at €126 for a group of four, which is well worth it for a stress-free journey. Le Grand-Bornand is a fantastic beginner-friendly option due to great deals on lift passes and the wealth of easier slopes to explore. 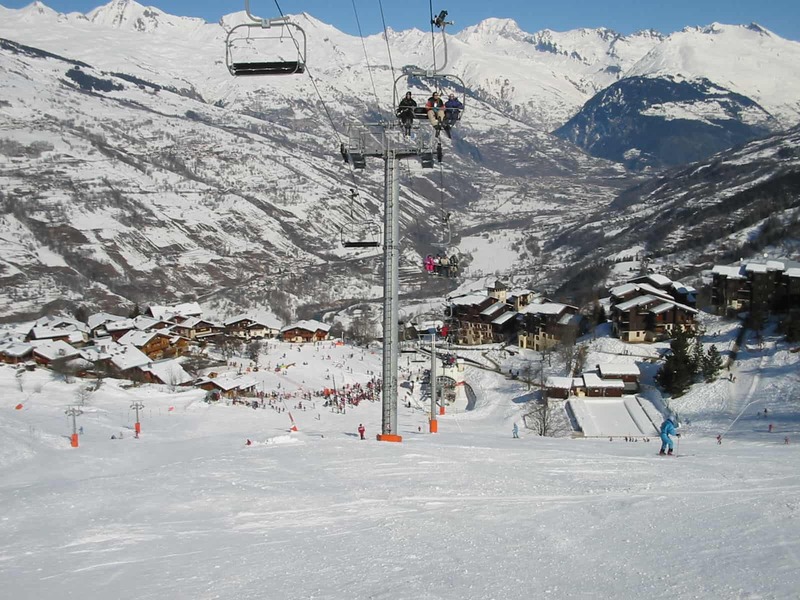 The Joyère and Rosay ski areas are the places to head for beginners, with their gentle, tree-lined slopes. Chinaillon also has wide blue runs for when your confidence grows a little. The new 200m magic carpet lift for the Rosay plateau area is much less scary for first-timers than other forms of gondolas. Think of it as a moving escalator protected from the elements. A welcome relief if the heights of the cable car were making you nervous! The beginners lift pass is great value for money. It gives you admission to thirteen different lifts with access to the easier slopes in the area. Two ski schools in Le Grand-Bornand offer ski and snowboard lessons for adults and children from 170 € for two hours. The rural village of Le Grand-Bornand is home to pretty, rustic chalet buildings and a relaxed atmosphere. Another famille plus resort, it makes for a wonderful first-time family ski holiday. Accommodation starts at a very reasonable 150 € per night for a group of four. Another resort in the Avaris mountain range, Combloux, ‘the pearl of Mont Blanc’, offers tranquil blue slopes at affordable prices. 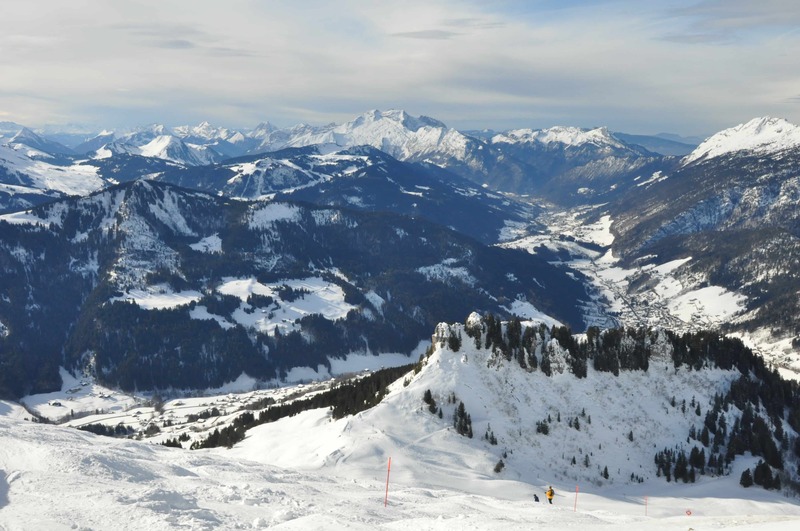 Due to its location nearby the popular resort of Megève which attracts the crowds, Combloux is a more peaceful and cheaper option than its fashionable neighbour. Almost a third of runs at this resort are easier green slopes and there is also a snow garden for children to play in safely. Ski lessons in Combloux start at a very affordable 160 € and a lift pass costs just 36 € for the day. The historical village of Combloux is home to an onion spired church and a traditional wooden farmhouse. Take in the stunning views of Mont Blanc from almost anywhere in the village thanks to its location near to the highest peaks. 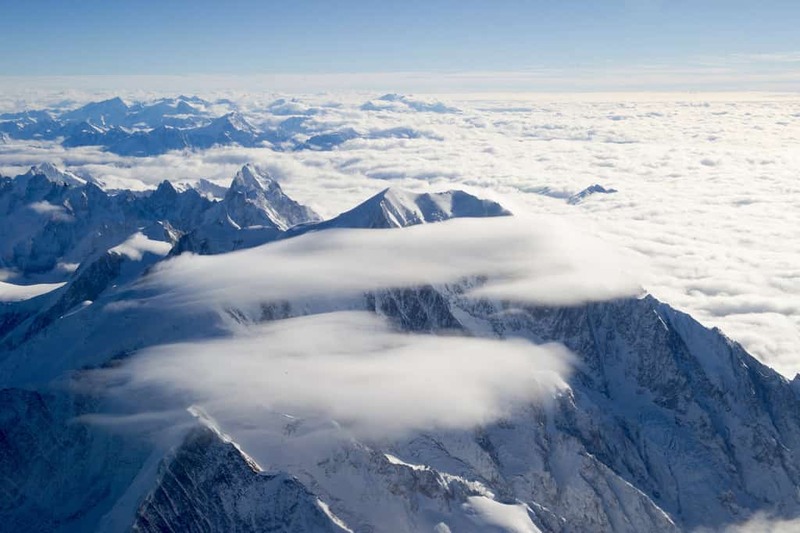 If you tire of skiing, there are plenty of other activities available in the area. Snow sports such as ‘snow shoeing’, hiking and sledging are all great ways of enjoying the snow. Or, for even deeper relaxation, head to the local spa and soothe achy limbs with a massage or a session in the steaming sauna. A night’s stay in Combloux starts from €140 for four people, cheap enough for you to make the most of the intimate aprés ski scene. Montchavin in France is part of the Paradiski ski area, the second largest in the whole of Europe. 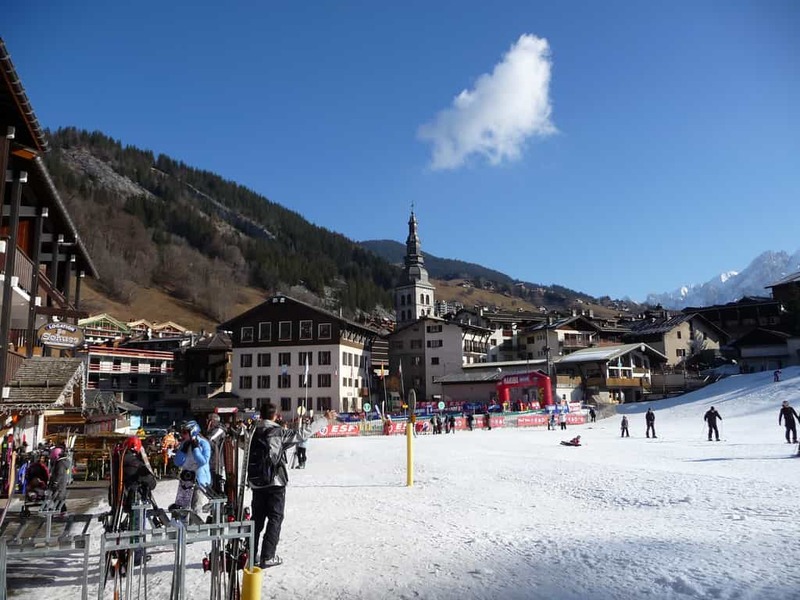 Montchavin has excellent nursery slopes, lovely alpine views and a traditional feel. This region is ideal for beginners, due to the easy descents and simple runs. Relaxation trumps thrills here. The lift pass is 52 € for an adult, the slightly higher price reflecting the sheer range of interconnected ski areas available in the area. There are four main ski schools in Montchavin, the most famous school being ESF. Lessons start from 190 € for two hours. Don’t want to splash out on ski equipment before you’ve tested the waters? Not a problem. Rent your skis and snowboards from our conveniently located hubs in Geneva and Albertsville and get fitted by our professional ski technicians on-route to your resort! Accommodation in Montchavin can be found from just 140 € a night for a group of four, more than making up for the slightly higher lift pass price! The magical ski resort of Saint Martin de Belleville looks like an image from a Christmas card. Wooden chalets, a stone church and alpine scenery make it a wonderful first-time skiing holiday destination. The resort is part of eight towns that make up the famous Three Valleys, one of the best skiing destinations in Europe. Because Saint Martin de Belleville is one of the lesser known resorts, it has a quieter atmosphere and is kinder on the budget. Accommodation starts at 200 € per night for a group of four. Because of the wealth of options in the Three Valleys ski area, beginners will have plenty of slopes to choose from. A lift pass for a day’s skiing across the whole of this vast ski area is 49 € per adult. Families with small children will be entertained with games and walks organised by the local Kindergarten and there are plenty of atmospheric bars for adults to enjoy a well-earned drink. Saint Martin de Belleville is conveniently located less than two hours drive away from Chambéry airport and transfers start from 174 € for a group of four. No matter which of these ski resorts for beginners you go for, don’t forget to book a transfer from the airport so you have one less thing to worry about when you get there. Here at Alps2Alps we deliver reliable, cost-effective transfers with our professional, English speaking drivers so you can save money in style.